The hearing featuring testimony from Christine Blasey Ford and Brett Kavanaugh started had a scheduled start time of 10 a.m. eastern. 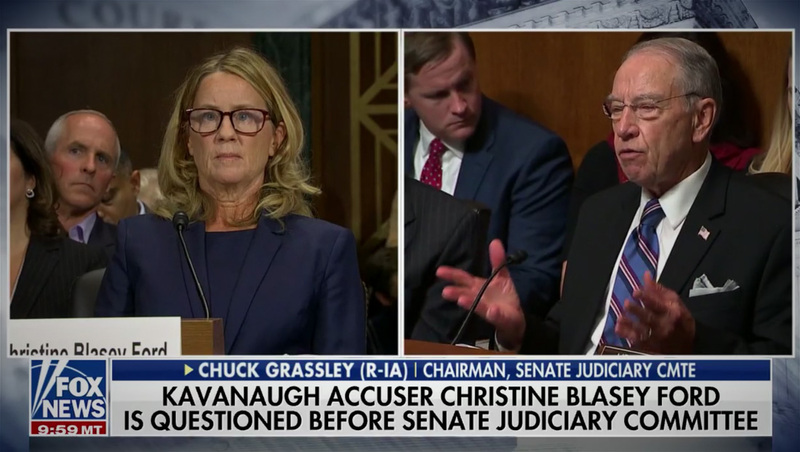 Broadcast and cable networks carried live coverage of the hearing almost nonstop through the day. The testimony ended at approximately 6:44 p.m. eastern time. Broadcast networks quickly wrapped up coverage shortly after and cut to their evening newscasts in the eastern and central time zones. Cable news continued coverage well into the evening.